Get This 50% Off with Promo: 50OFFV3Y at checkout. Advanced 10 adjustable pressure flossing modes, from normal soft mode for daily use to strong pulse mode for massage on sensitive gums. 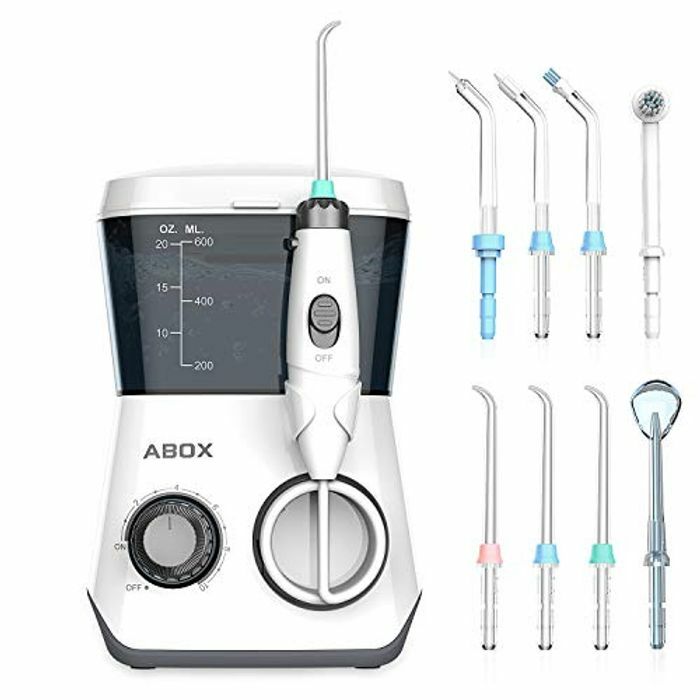 360°rotating jet tips combined high-pressure pulsed water, giving precise irrigation to every deep corner of your teeth. 3 ordinary high-pressure jet tips, 1 rotating toothbrush tip, 1 tongue cleaner, 1 orthodontic tip, 1 dental plaque tip, and 1 periodontal tip. If there is a 10% voucher, it goes through at £11.99. Well it is for me. Thank you for sharing, great bargain.